We recently blogged on the countdown to Small Business Saturday and how to make the most out of your social media activity on the day. But as with all forms of marketing and networking the follow up is important too! 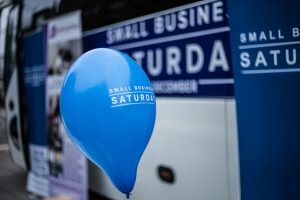 Small Business Saturday 2017 was the most successful campaign yet! An estimated £748 million was spent on the day and it was great to see the Prime Minister, the Mayor of London; fashion designer Alexa Chung and actress Billie Piper all publicly supporting the campaign. 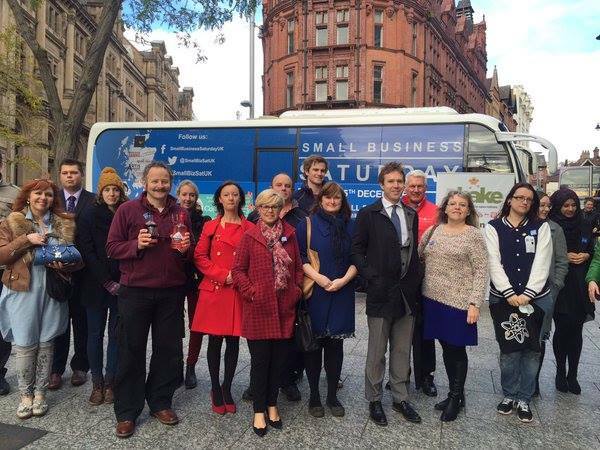 Over 115,000 tweets were sent on the day itself reaching more than 115 million people, with #SmallBizSatUK trending at number one all day. This year is anticipated to be bigger and better! 2. Make sure you’ve replied! Go back and check the #SmallBizSatUk hashtag to ensure that you’ve connected with everyone you wanted to. Take the time to catch up. Ask the other business owners you connected with how their day was and what successes they had – it’s a great conversation starter! You may have been doing it on the day, but it’s a great idea to get the visuals out there of what happened. Also provide people with a round-up of how successful your day was and make sure you tag relevant people. It’s a nice ending to your small business story. A bit of gratitude goes a long way and your customers like to be appreciated. Knowing their actions to shop small and stay local have made a difference will make them more likely to support small businesses in future. Having a strong follow up will ensure that you get the most out of social media for Small Business Saturday and it will set you up for a great year next time! What do you think? Do get in touch.